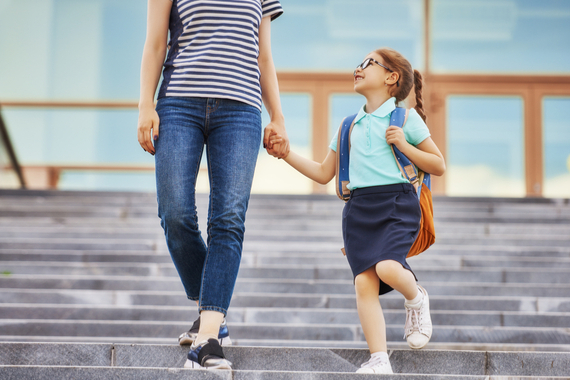 The first day of school is such a bittersweet time for parents, sending their tiny little babies out into the world, seeing the excitement on their radiant little faces. Of all the many milestones in your child’s life, this is definitely one that deserves a special memento – more than a mere happy snap: something for parents to treasure and kids to wonder over when they reach adulthood themselves. Here are a few creative ideas that you and your not-so-small one can do together. A very cute idea, often used for birthday parties but just as suitable for marking the first day of school, is a personalised chalkboard – buy one or make your own with a sheet of ply and readily available chalkboard paint. With your child’s help, fill in the board with whatever stats or important facts you both feel should be noted. For example, their age, height, first day of kindy (or year one, year two), and what they want to be when they grow up. Take a photo of your precious preppy next to the board and prepare to “aw”. Using a box frame to display a child’s first pair of tiny baby shoes creates an adorable memento, but why not reframe them next to their first pair of school shoes (after they’ve worn through or outgrown them, obviously)? This will be a lovely visual reminder of how much they’ve grown and a little boost for them, to see how big they are now. In years to come, it will be even more poignant, as you compare their sweet little kinder feet with their adult-sized clodhoppers! A picture says a thousand words, but adding a few more words can help to really capture the essence of your child at this pivotal milestone. Take a photo of your little big kid in their school uniform, perhaps dwarfed by their giant backpack, against a wall or other blank background. Then the fun begins! Free online programs such as Canva allows you to turn a photo into a poster, providing hundreds of potential layouts, colours and fonts. Add whatever words you like – your child’s name and age, and some fun facts about their personality and what they love to do. 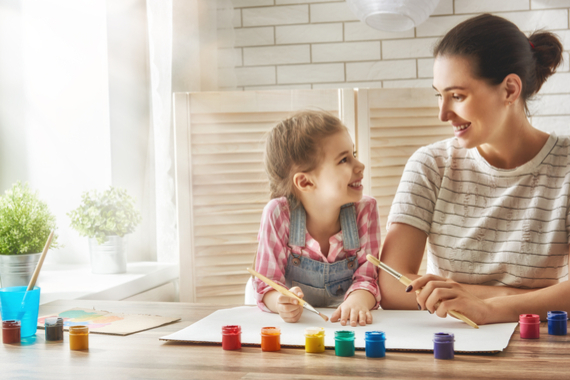 The super cute first-day photograph is a given, but as a fun extra activity, get your child to draw their own self-portrait. It could be of themselves in their new school uniform, maybe even in front of their school – the details aren’t that important. It’s about capturing how your child sees themselves at this point in time, hopefully with a big smile on their face, excited about starting a new chapter of their little lives. Kids’ writing abilities vary widely at this age, but get them to write “Annie’s first day” if they can, or a handprint is a cute idea if they haven’t mastered letters yet.